Last Wednesday, Sofia turned 4 months! 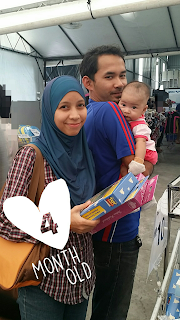 We brought her to the Arena Warehouse Sale in Petaling Jaya. Iz carried her on his chest the whole time... Hahaha. best ke sale dorang Bash?